How To Wind An Automatic Watch? And Why Do We Need To Do It? Two questions that I get a lot from people is why do we need to manual wind an automatic watch and how to wind an automatic watch. As we all know, automatic watch is “automatic” because the there’s a rotor that “automatically” rotates and recharges the power reserve by winding the mainspring with every movement of the watch. This is an improvement over the mechanical watch that needs to be manual wind (i.e you need to rotate the crown knob) to increase its power reserve. So do we still need to manual wind an automatic watch then? The answer is: it depends on how do you want to use your watch. I’ve actually written a post on that touches the subject of watch winding but this post is more on the differences between manual winding vs watch winder (You can take a look at that post here ). Here, I would like to elaborate more on this topic here as I think it is worth to go in detail on this. But if you want to jump to how to wind automatic watch directly, click this link HERE to go to the second part of this post. Why Do You Need To Wind Your Automatic Watch? Automatic watches are designed to be self sustaining, that is not needing a manual winding. Traditional mechanical watches, however, need to be manual wind every one or two days (depending on its power reserve). But as mechanical watch technology matures, there was a demand for an “automatic” or “self winding” watch. The obvious reason was the nuisance for having to wind it time and again. The industry responds to this by putting a weighted rotor that rotates as our wrist is moving to wind the mainspring (for more detail explanation, visit my post on how automatic watch works here). 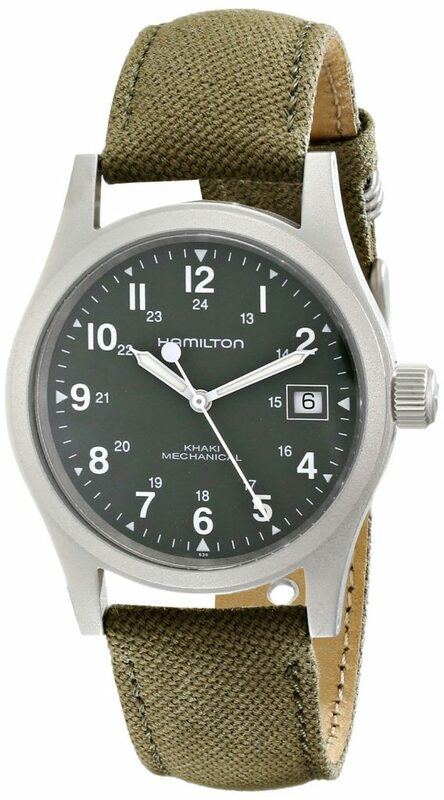 Above is Hamilton Khaki King Officer, a one of a kind watch by Hamilton that uses mechanical movement. Advantages of mechanical movement are the cheaper price and generally lighter weight. The invention of automatic watch creates a watch that does not need to be winded manually and releases watch owners from the mundane work of manual winding it everyday. This increases its appeal and soon mechanical watches are becoming almost obsolete nowadays. But then since our automatic watches are designed to just run forever (assuming we wear it every day), do we still need to manual wind it? Automatic watches will only self wind if you wear it. So if you got many watches and use only one of them a day, most of your watches will not have much wrist time and subsequently drop dead. Now automatic watches dropping dead is not a big deal. There is no damage to them at all as newer synthetic lubricants inside most watches won’t coagulate over time, not like mineral oils from older watches. But practical wise, it is not a convenient thing at all. Just imagine, when you want to pick them up, you have to manual wind it a bit first and then reset the time. 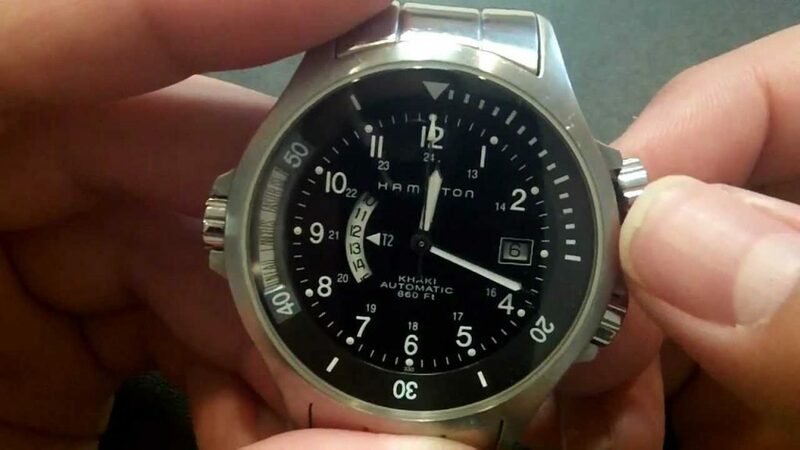 Not to mention if the watch has day and date function, you need to reset those too as well as its am/pm correction. All of this resetting can be a bother, especially on that hectic Monday morning. The simplest solution to this problem is to keep our watches running over the weekend by manual winding it just to keep it from dead. The timing to do this shall depend on its remaining power reserve, estimated based on the last time you take it off your wrist). Sure, we can always get a watch winder that will do the winding for us but it requires a bit of extra monies plus the additional electricity bill. But if you don’t want to spend further than your watch, manual wind is still the best option. Now, I don’t recommend that you go and wind your watch everyday as some movement can be sensitive to frequent winding. Based on my experience (corroborated with other information from the net), Seiko movements such as the 6R15 and 4R36 are quite robust and can be manual wind even everyday without any known issue. Other Swiss movements, not really so.. So in any case, do check with the manufacturer of the movement if frequent winding is permissible or not just to be on the safe side. Contrary to popular belief, just wearing your watch would NOT make it stock up to the full power reserve. You can try this with watches that have exhibition caseback. Try to move the watch just like how your wrist would move during working or walking and observe the rotor. You will notice that the rotor does not really rotate much. Fact is our normal movements such as walking, doing office work, hanging out watching TV won’t really rotate the rotor, which means the rotor does not able to fully wind the mainspring. I believe only rigorous activities where our hands are moving so much such as jogging, swimming etc. will move the rotor a lot. 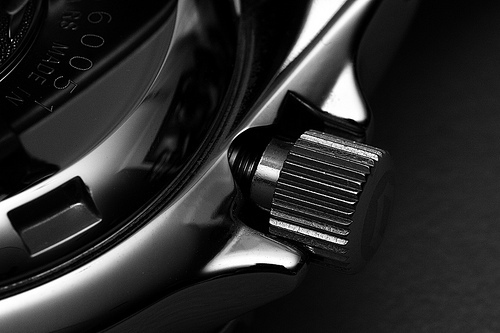 In addition to that, most automatic watches require at least 600 rotations of their rotor to fully wind. This number depends on the movement make (you can go to this website to check for how many rotations your watch require) but still it’s quite a huge number. These two elements combined mean that the automatic watch will has a hard time getting into full power reserve capacity just by wearing it alone. That’s why I recommend that when your watch is not running to its best accuracy, you can try to manual wind it to full power reserve. The best accuracy for any automatic watch is when it’s having its full accuracy and that’s where manual winding comes. By manually winding it, we can keep the power reserve to full and subsequently improve its accuracy. So we have seen that there are actually valid reasons to wind automatic watch. But how do we actually wind automatic watch? It’s very simple guys. Just grip the crown or the knob at the right side of your watch and rotate it upwards (for most watches). As you rotate, you should feel a slight resistance and some faint noise of steel grinding on each other though this really differs from movement to movement. That’s the sound of the gears inside the watch, winding up our mainspring. If you had seen those car toys where we had to rotate the knob before it can moves, that’s actually the same concept applied for automatic watches. By rotating the knob, we are actually winding or tightening the mainspring inside it. This builds up the potential energy in the spring and will be released gradually to run the watch. By the way, some watches especially diver watches have screw down crown. The crown is “screwed in” to provide extra water resistance protection and need to be unscrewed before we can wind it. 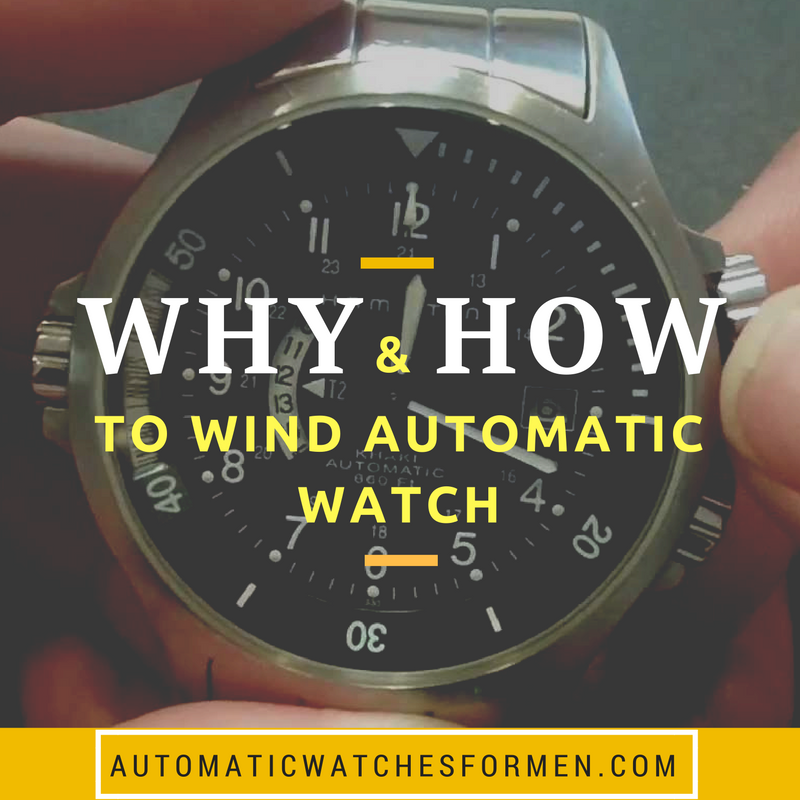 Watch the video above on how to manually wind your automatic watch. The Rolex Submariner in the video has a screw down crown so you can see the person has to unscrew the crown first before winding it. We also need to remember that the crown stem is a fragile part of a watch. It’s just a slender steel bar connected to the inside of the movement. 1- Wind the watch off your wrist. Winding your watch on your wrist will cause your finger to be at an awkward angle and put lateral stress on the stem, and possibly damaging it the crown stem. What I always do is to always wind my watch when I picked it up and before I’m using it. That way, I’m winding it by applying only the rotational force on the crown stem. Also, be more careful of screw down crown watches as the crown stem is longer and there is higher chance you could be applying the force laterally. 2- Be gentle and don’t overwind. When winding, remember to be gentle and don’t rush yourselves. Normally, a full wind will require more than 20-40 rotations for a watch (this will differ according to movement. Check your watch’s manual for info on this). Some people might want to rush through it just to get it done asap (I’m guilty of this at times… LOL) but you have to remember the delicate manual winding mechanism might break if you wind it with too much force. It’s also related to how sensitive the parts are to explosive force applied on it. Over-winding can also happen when you wind your watch past its end point which is why it’s important to feel any abnormal or higher resistance when winding. That’s the hint that you already fully wind your watch. If you have a watch with power reserve, this will be very easy to tell as the indicator will show that the power reserve is full. A look at an unscrewed crown. Notice how far the crown is from the body of the watch. This makes it very easy to applied excessive lateral force on screw down crown while winding. Another good practice is to avoid unscrewing the crown while on your wrist to avoid the same issue. I always keep my fingers parallel to the watch to avoid applying lateral force on the stem. I also always be aware of the resistance of the gears while rotating the crown. When I feel that there is a slightly higher resistance, I stop winding at that time to avoid overwinding. The key is to not rush and enjoy winding your watch. I feel there is a connection between me and my watches when winding them. The feedback when my fingers rotate the knob is a special feeling that no other modern watches such as digital, quartz or smartwatches can give. Can I Just Shake My Watch Instead? There are some people who advise to shake the watch instead of winding it as winding has probability of damaging the internal parts of the watch. Yes, I do agree that winding has the risk of damaging the watch, but only if you do it recklessly and not following the recommendations above. Shaking the watch, on the other hand, is akin to wearing the watch and can also achieve the same objective of filling up its power reserve. But as I’ve mentioned earlier, it will take more than 600 rotations of the rotor to fully wind it. I don’t know about you but to shake the watch 600 times seems a lot to me! Due to this, a few rotations of manual winding seems to be more practical and less time consuming than shaking the watch itself. One thing that we need to remember is not to shake our watches aggressively. Internal parts of an automatic is very fragile, with the balance wheel pivot the most susceptible to impact and shock damage. Aggressively shaking the watch might damage it and costs you hundred of dollars of expensive repair bill. If you still insist on shaking your watch to wind it, I suggest to move it moderately with large swing of your arm and keep the watch face parallel to the ground. By doing this you won’t put direct impact on the balance wheel pivot and reduce the risk of damaging it. How Often Should I Wind My Automatic Watch? We’ve learnt that there are some valid reasons to wind our automatic watches. We also learnt how to manual wind it. The next question is : how often should we wind automatic watch? I would say it depends on your watch, how you use it, and who manufactures it. If you only have one watch and use it everyday, then you don’t even need to wind it at all. But if you have more than one and rotate using them everyday, then you might need to wind the watch that you don’t use, provided you want it to keep on running and the idle time is long enough. If it’s only a day off the wrist, most watches have the sufficient power reserve to ensure it can keep on running. A typical automatic watch have at least 40 hours power reserve which means you cannot leave it untouched for more than one day. But for a 2 days off (such as weekends), then you can wind it on the Sunday once to fill up the juice. With that, you can ensure it’s ready to be used when you pick it up the next day. No hassle on adjusting the time and day/date at that time. By the way, if your watch is the Swatch Sistem51 or Tissot PRC 200 Powermatic 80 which have enormous 90 hours and 80 hours power reserve respectively, then you can leave it untouched for up to more than 3 days. A typical mid-range 6R15 movement by Seiko has 50 hours of power reserve or slightly more than 2 days. And based on my experience and Seiko’s own manual, this movement can be manual wind everyday. But that’s not exactly the case with other movements. Some ETAs (such as the 2824 and its siblings) are not recommended to be manual wind often. In the end, it depends on the manufacturer’s recommendation as they are the one who knows the best about the movements. I Don’t Like To Wind My Watches. 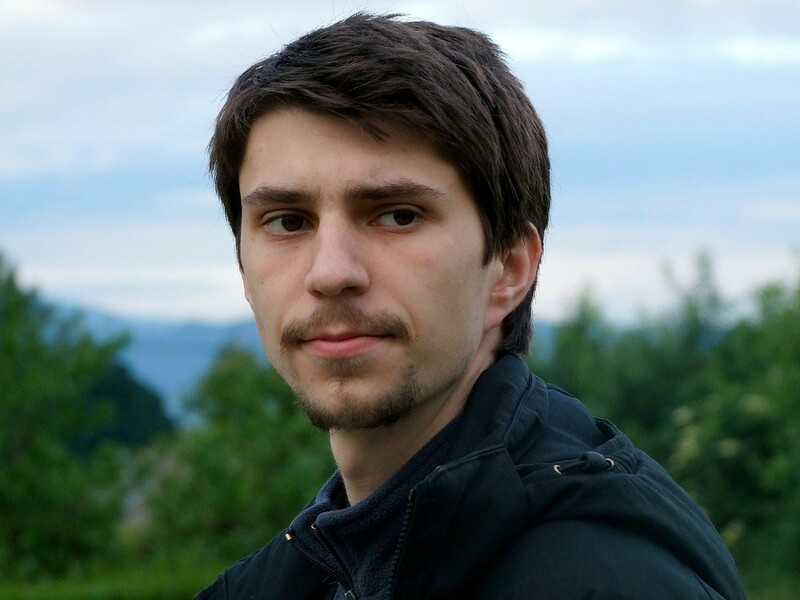 Any Other Alternatives? Some people don’t like the hassle of winding their watches while for some, the huge number of his watch collection will be a big task for him to wind all of them manually. For these guys, the only practical alternative is to use a watch winder. A watch winder uses a motor to rotate your watch, which also rotate the rotor and wind the mainspring. It basically mimics the movement of the watch when we are wearing it. It is efficient and easy way to charge your watch. Not to mention you can still wind it even when you are on a holiday. Some winders can also be used as a fancy watch box which is very useful to keep your watch from dust. 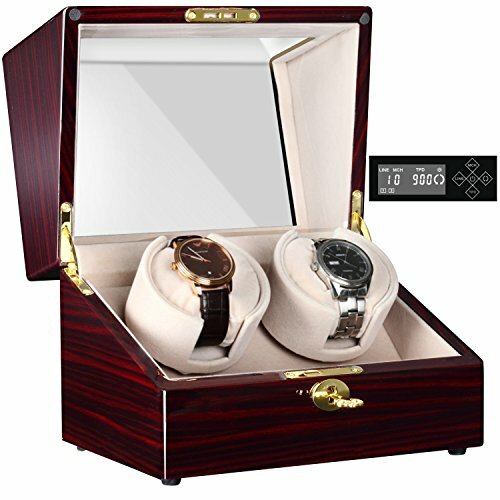 For example, this Chiyoda watch winder is actually a really good looking box that can also be used to store the watch. So if you have that couple of pricey Rolexes and Pateks in your arsenal, a watch winder is definitely very useful. Why would you buy many expensive watches if you can’t keep them properly right? One thing you need to keep in mind is watch winders can be a bit pricey – more than $100 for a good one. There are cheaper options which are usually made in China but these don’t really last long. Read more on how to find a good watch winder and some popular models at my previous post here. Above is a video showing how a watch winder works. A good thing about it is the angled position of the watch will make sure the rotor rotates fully during operation. To conclude, there are just two simple reasons on why we need to wind our watch: to keep our watches running (for those with many watches in his/her collection) and to keep its timekeeping accurate. How to wind it is very simple, but there are many ways to never wind your watch with. Fast, aggressive winding is totally prohibited as it could damage the internal parts which is delicate. Finally, if winding is not your preference, you can always invest in a watch winder which can also double as your watch storage box. I hope this article will help you guys on the hows and whys of winding a watch. Drop your comments on your preferred method of keeping your watch running and any experience (good or bad). Thanks for reading and till next time. 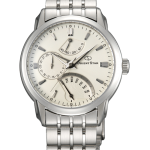 Comments that advise against frequent or regular hand winding of watches with the ETA 2824 and 2836 series movements are correct. The hand winding process does not by-pass the automatic mechanism, and puts a large additional accumulated stress on the moving parts and especially gear teeth. If you have a Tissot Visodate or Swiss Legend Traveler, spend a few minutes each day swinging the watch around to exercise the rotor before you put it on (or keep it in a winder). It’s actually kind of a funny circumstance, because I would never think to wind a watch that says it is self-winding, but it totally makes sense. I had no idea about the power reserve and that motion is what helps it maintain that power. My watches have always been off and required re-setting and I just thought that’s what watches do. But I also don’t wear the same watch every day. I don’t know if this new information will make me wind my watches or maybe wear them all every day. lol It’s definitely good to know, though. 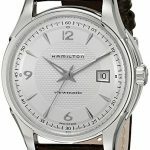 I’m glad that this article helped you to understand the importance of winding to automatic watch. In my opinion, if you’re wearing your watch every single day, I don’t think you need to wind it (except to increase the accuracy, but that’s once in a while type of thing). Thank you so much for the information. I’ve had a self-winding watch for years now and have not really ever wound it before because I was afraid of overwinding it. I’m so glad I found this because I had been wondering why it was getting off on the time, even though I was always wearing it.